I recently read A God in Ruins by Kate Atkinson, in which the main character ate a French dessert called a Far Breton. This character remembered the dessert years after eating it, comparing it favourably to a Plum Duff. This led me to Google the recipe, buy prunes (which were the only ingredient I didn’t already have in the pantry) and make the recipe as soon as I could. I’ll make a Plum Duff sometime soon, to compare. The recipe also had a tablespoon of rum, but since I didn’t have any, I left the rum out. The smell of rum reminds me of disinfectant, but if you like rum, go for it. 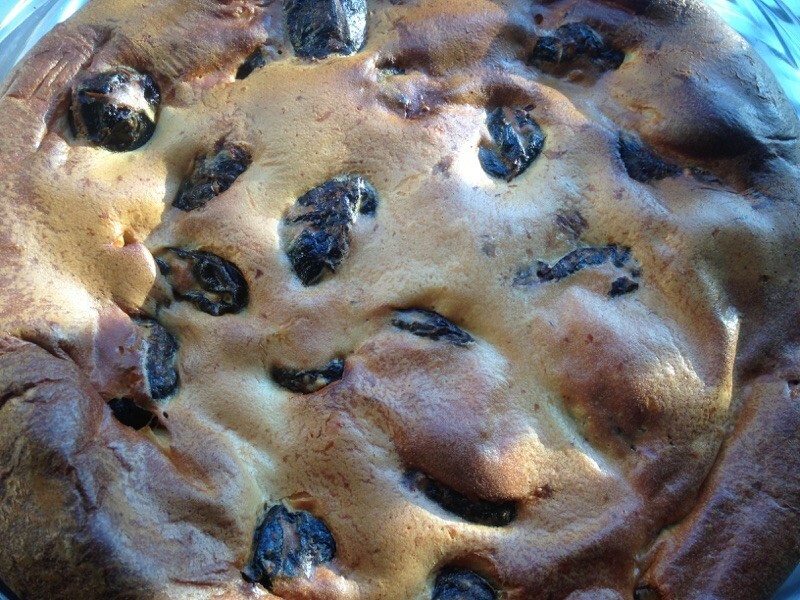 Place the prunes in a small saucepan, cover with water and simmer for ten minutes. Drain them and arrange on the bottom of a greased, shallow baking dish. Mix the flour, sugar, vanilla, baking powder and salt together, whisk in the beaten eggs one at a time, then mix in the rum and the milk. 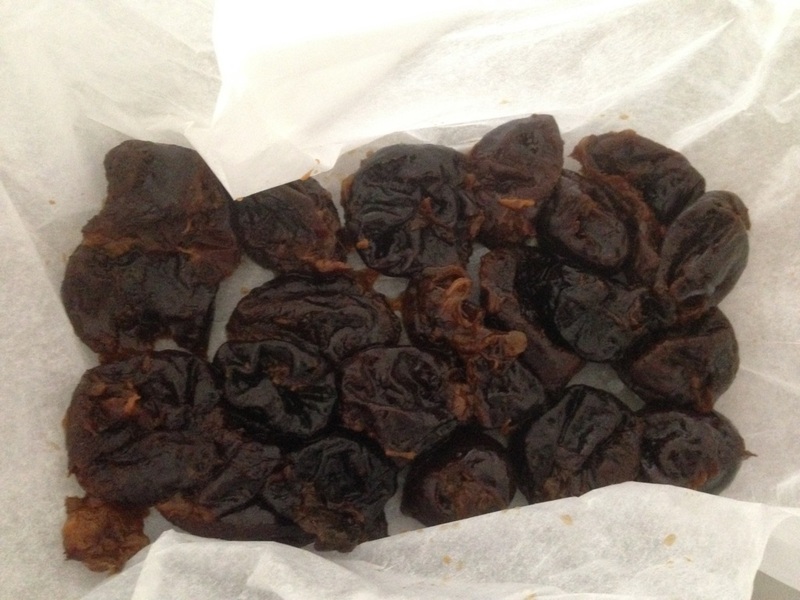 Pour the mixture over the prunes, bake at 230 degrees Celsius for ten minutes, then bake for another 25 minutes at 200 degrees Celsius.